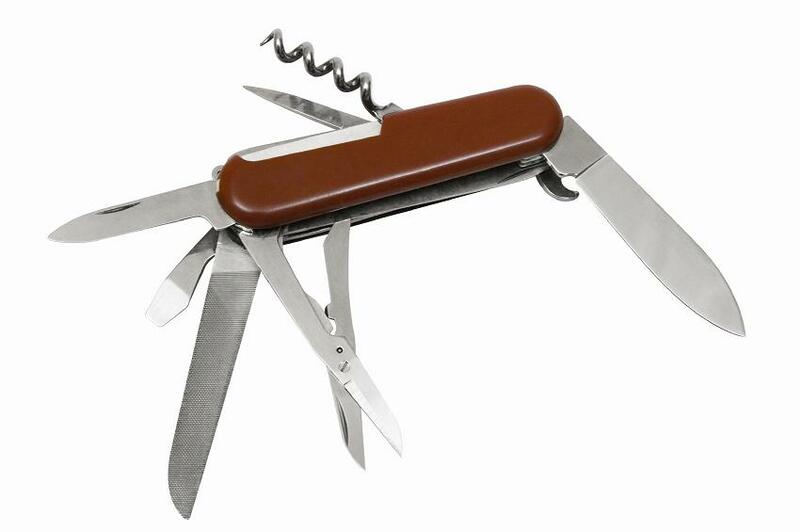 What tools are in your Marketing Swiss Army Knife? A few days ago, someone asked me to explain what made me a “good marketer.” I had never heard the question phrased quite that way before and stumbled through an answer. Later on, I realized I built a class around that very question 11 years ago. So I headed down to the basement and pulled out the class handout. We had spent more than three months asking that very question of some of the best marketing minds in the bank and organizing their answers into what turned out to be eight categories. Always remember that we’re in business to (Fill in the Blank). In our case, it was Make Good Loans. For others, it might be Sell Computers, Attract New Donors or Drive Traffic to Your Website. Be absolutely committed to knowing everything about your Target Audience. We were affinity marketers who worked with alumni associations, sports teams, professional groups, and a host of other partners. The most successful marketers went beyond being credit-card experts to being experts on their groups and the group’s constituents. That’s more difficult for marketers with a broader target audience, which makes No. 3 even more important. Everything begins with the “list” (or audience). Having a great product doesn’t mean a thing if you don’t know where to find the buyer. It’s OK to have multiple lists with different messages. Design compelling offers with a simple creative message. Two of the most important messages here were Offer is More Than Price and Your Great List Won’t Mean Much if the Offer Isn’t Clear and Valued by the Customer. Try lots of things. Test in a disciplined manner… Basically, remember that if there’s no control there’s no test and behavior is more important than opinion. …And keep what works. Measure your results. You need to share successes and failures. I was reading a book the other night where the author was criticizing another author who had focused only on his big successes. We often learn more from our big failures…and those lessons learned are even more important if we share them with others. Challenge everything. Never stop trying to make things better. Pay attention to the details. Part of this is about a commitment to “publishing.” I doubt there’s any such thing as the “perfect test.” Get to market quickly. Mail less more often. Make sure the affinity is “in” the package. Spend wisely. It’s real money. This may have been a bigger deal back in 1999 when marketing money flowed more freely, but this is really about putting some analysis behind your decision to test. What do you hope to achieve and what’s the cost in your best-case and worst-case scenarios? I have followed these principles over the years, and made sure that the people who worked for me did the same. And that should have been my answer when I was asked what makes me a good marketer. I’m disciplined and I make sure I know my audience. Did we miss something that doesn’t fit into one of these categories? Please let me know if you’d like me to elaborate on these strategies in future posts.